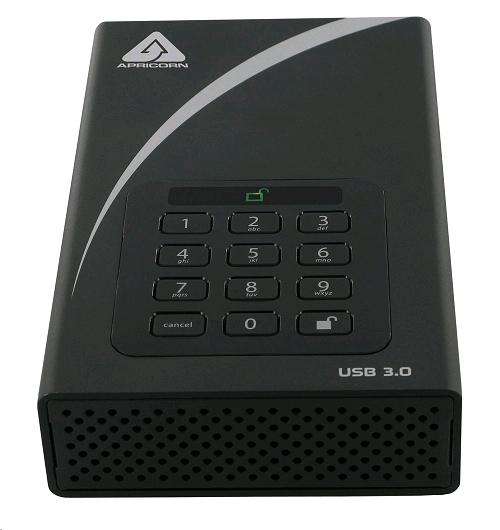 Apricorn's Aegis Padlock DT is a hardware encrypted USB 3.0 Desktop drive. Simple and easy to use, Padlock DT offers unparalleled security and supports both AES XTS 128-bit or 256-bit encryption. Additionally, DT's software free design means it can be deployed without the need for Admin User rights and will work with any USB enable operating system. The DT is authenticated via the integrated keypad and can support up to 5 User PINs and an Admin PIN. 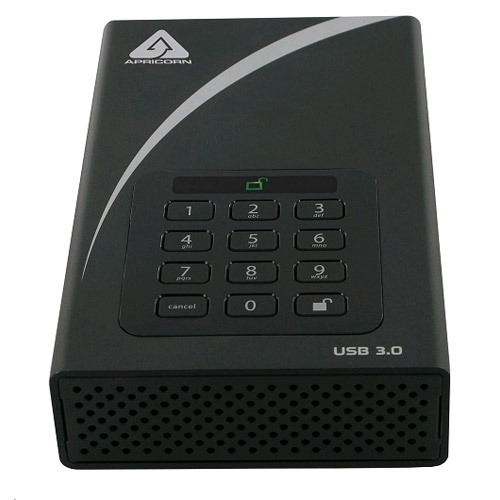 The DT ships with Padlock DT drive, USB 3.0 cable, AC adapter, Quick Start Manual and ships pre-formatted in NTFS.